A two-day graduate-level course on the science of cheese manufacture and ripening will be held in University College Cork on February 24 and 25, 2010. This course will be given by Prof PLH McSweeney and Dr TP Guinee (Teagasc, Moorepark, Fermoy, Co. Cork). 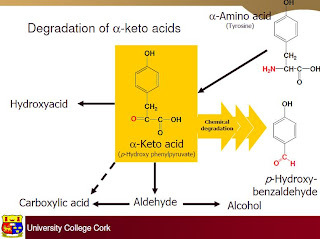 This course will cover the science of the manufacture of rennet-coagulated, acid-curd and processed cheese and will concentrate on the biochemistry of cheese ripening (proteolysis, lipolysis, metabolism of lactose, lactate, citrate, fatty acids and amino acids) and rheological and functional properties of cheese. This course would be particularly suitable for graduates from outside the food science area who now find themselves working with cheese and indeed for food science graduates who wish to increase their knowledge of current trends in cheese science.